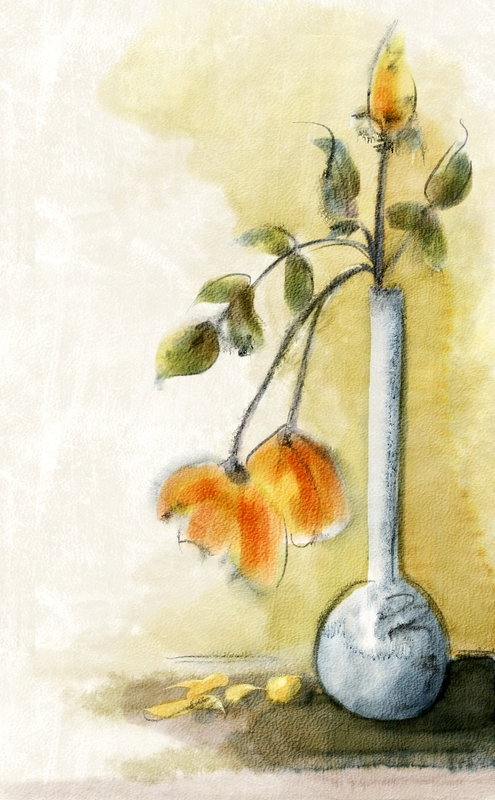 It is amazing how easy it is to emulate traditional watercolor in Painter 12. I decided to do another painting demo for a couple of reasons. The first is I love painting with this new brush engine, and I am having a blast making new brushes. The second is to let everyone know that I am teaching a class at the Digital Art Academy called The Basics of Watercolor in Painter 12, which begins Oct 22; registration is now open. My custom watercolor brushes that I keep promising will be ready by then, hopefully sooner. You do not have to join the class to get them; I will post them here for everyone. With the basic class in mind, I did this very simple watercolor. During the first part of the session as we would do if we were taking a traditional watercolor class, we will focus on brush use and how to develop washes and other typical watercolor marks. 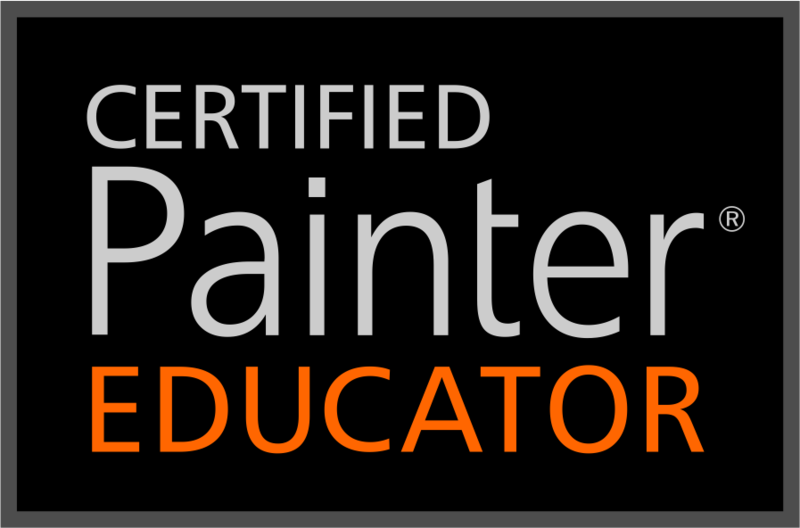 But before I forget, I want to mention that I am also going to teach a class at DAA called The Basics of Brush Making in Painter 12. In this class I am going to demystify brush making and make it fun. Hope you enjoy the video; please let me know what you think.